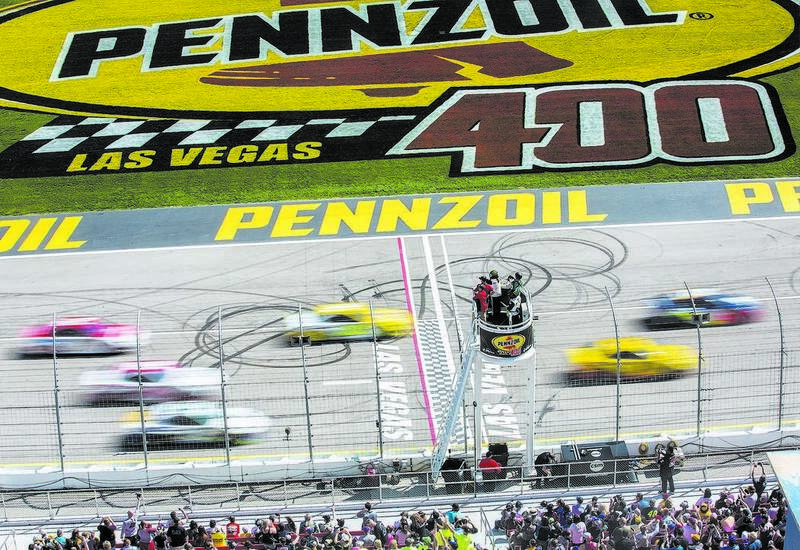 Television ratings for Sunday’s Pennzoil 400 at Las Vegas Motor Speedway were up a tick over last year’s race. Fox TV earned a 2.9 in the overnight ratings, according to the Sports Business Journal. That was a 4 percent increase over the 2018 race which received a 2.8. That should make NASCAR the highest-rated U.S. sporting event for the third straight week beginning its 2019 season, Sports Business Journal said. Defending NASCAR champion Joey Logano held off Team Penske teammate Brad Keselowski at the finish line for his first LVMS victory in a race featuring the first application of high downforce rules designed to prevent runaway winners on 1.5-mile tracks such as Las Vegas.